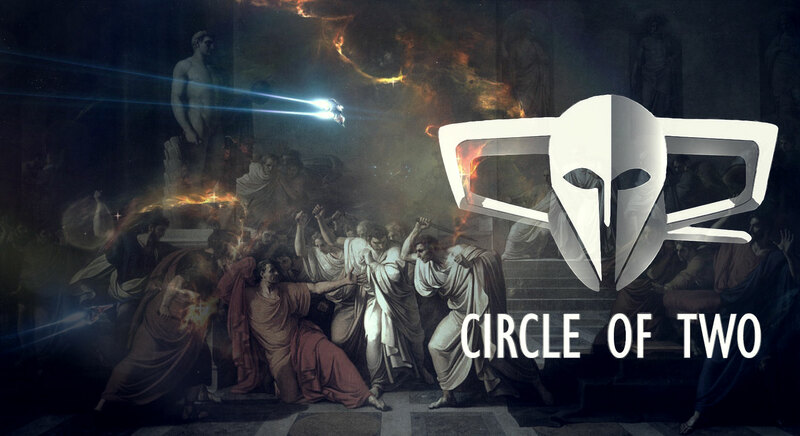 Monday night, September 11th, “The Judge” – third in command of Circle of Two alliance (a major nullsec entity), enacted a premeditated plan in order to destroy gigX the executor, leader, and public face of CO2. The Judges victory over gigX was absolute and the damage to Co2, beyond catastrophic. The Judge’s actions will forever go down into eve history as one of the most notorious political coups in New Eden. And all of this was planned and worked out in advance at the Council of Stellar Management meeting in Reykjavik Iceland. The exact details that led to-, and the exact elements that were involved in, the lead-up to this event are not perhaps immediately clear, although facts, statements and speculations continue to emerge in the community. However, what I personally do know is that sometime last night (at the time of writing) I was sitting in a Discord channel with one of the Co2 corps I am friendly with and saw the message “we’re fucked”, after which I had a front row seat as well as a first person line of communication with the events as they unfolded. 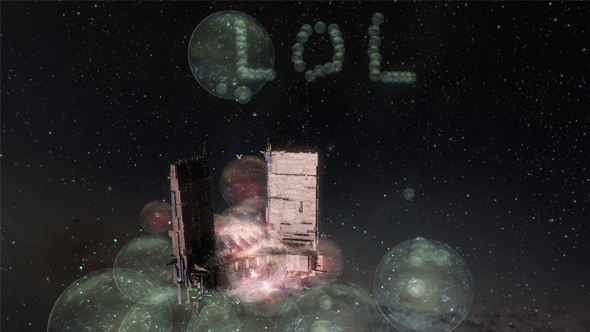 The Judge transferred a large portion of Co2 citadels to Test Alliance Please Ignore, stole around 1.5 trillion ISK from from all the sources he had access to, and lastly sold the capital of Co2 – their keepstar, to the Imperium as revenge for gigX’s previous betrayal of the Imperium back at the beginning of World War Bee. These actions alone ended the so-called “Blue Donut War” and devastated Co2, but this was only half of his victory. The Judge, having spent five years as a loyal member of Co2, and a close supporter of gigX, knew him incredibly well and was familiar with his tendencies and most importantly was familiar with his rash and bullheaded temper. After performing the coup, The Judge immediately began live streaming Co2 alliance chat and just waited patiently for the fireworks to begin. His stream reached near the two thousand mark, and as people freaked out in chat, The Judge would occasionally snipe at someone or post a snarky comment to illicit a response while waiting patiently for gigX to wake up and log in. GigX did log in, and as expected in the heat of the moment erupted and went ballistic all while live on stream in front of two thousand viewers. Asking for personal information and whereabouts, threatening to end his life, and to cut off his hands. All the while, The Judge was delivering slight and neutral comments to draw out gigX into permanently ending his career in Eve online. The Judge’s plan worked brilliantly. He not only single handedly defeated Co2 but permanently removed their alliance leader and figurehead from the game. This was absolute victory. As context to those that don’t understand, for many people, Eve is real. You spend years forging bonds and building friendships, working together in an environment where many people are out to ruin you and drag you down, for either personal gain or just for fun. As a result of this, the most valuable commodities in Eve are trust, loyalty, and your individual reputation. An alliance as successful as Co2 required hundreds of thousands of hours of work and gameplay by a dedicated and loyal community to achieve and build themselves a home. The amount stolen was a little north of 1.5 trillion ISK, with assets combined. The total value in US currency (calculated via PLEX) would be around $20,000 (this is an estimate -ed). But that alone is not why Eve is real. What many do not understand is that the average player makes 60 million ISK an hour in Eve Online. That is roughly 1$ for an entire hour of your life, and if you factor in any western countries minimum wage vs. time spent working towards a goal in Eve then the true value stretches into the millions of dollars range. The sheer time investment alongside other comrades to achieve something and the potential of loss is what makes Eve such a real and very personal experience to many players. Because of this, gigX reacted badly. There is absolutely no denying it, he made real life threats against another player publically in front of an audience of two thousand other people. CCP promptly and correctly hit him and all his accounts with a permanent ban from Eve Online. GigX was in clear violation of the CCP EULA and ToS and paid the price for it. However, allow me to try and put it in a different perspective. It is understandable that if any of us happened to be in a similar situation we would react badly, and in this particular circumstance and betrayal even more so. Most people, including me, agree that gigX went well beyond what is acceptable and that he should definitely be banned and even heavily fined for his actions and his words, but it could be argued that a permanent ban is too much. GigX has been a long time content creator, a greatly disliked individual, a personal enemy of myself even. He has rubbed so many people around the game the wrong way that any number of people would gladly get in line for a chance to blow him up. There is nothing I would like more than to go head to head with him and his alliance and to defeat them in a military campaign. But due to his permaban, I, and many others will be denied that pleasure. The Judge won his victory, but gigX and his reactions leading to his permaban were premeditated and baited. I will be honest, as a first time offender, I personally feel that gigX deserves a long ban and a hefty fine, but not a permanent ban from Eve Online and our community. I personally want the opportunity to fight him again, and I feel that many others would really enjoy having future battles with an alliance leader who has almost zero aversion to risk. Because of this, I reached out to gigX through a contact in Discord and asked him for an interview or if he had a statement. Instead of a statement I got a public apology from him personally and was asked to post it here at the end of my article apologizing to The Judge, to the Eve Online community and to CCP for his actions. See it below. “Hello Eve community. I am writing this message to explain and apologize for my recent behavior during the events happened on September 11th over The Judge flipping our alliance staging to Goonswarm Federation. I have led Circle-of-Two since 2008 and as I mentioned over multiple occasions, this alliance is all I am playing for nowadays. I have accomplished everything there was to accomplish for myself in the game, and my current goal is to create content and make sure that my alliance members can also accomplish their goals. The transferring of the keepstar and the theft of our assets doesn’t necessarily hurt me as much as it hurts every single member of this alliance that has put time and effort into building what CO2 is today. I am protective over my members and sadly I let my feelings get the best of me as I didn’t want my members to pay for mistakes I have made during our time together these past few years. With that said, I hereby apologize to the everyone in the Eve member community, CCP, and even The Judge for my poor choice of words and my reaction that morning. I am the executive of Circle-of-Two and my members did not deserve this and hope I can be forgiven for my overreactions. I am sorry. Was it a good read? Please consider supporting Crossing Zebras via Patreon. Playing eve since December of 2006, been around more then a decade, flown with WhySo, Razor Alliance, Darkness, and Test. Creator and destroyer of multiple failscaded alliances along with best friend Rots, experienced skirmish FC, in every major war since the orginal fall of the DRF, and self proclaimed and proud Furry (Fursona is Glitch). Currently associated with Test Alliance Please Ignore and Kick Suad.